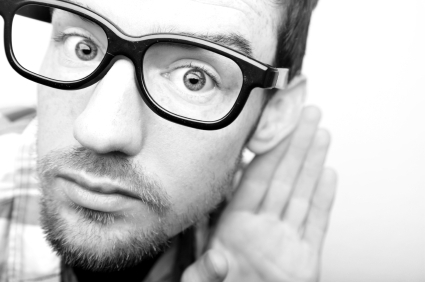 Does your SEO Copywriting Meet The Aural Test? 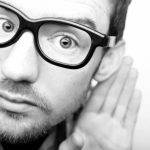 Even though web copywriting is about appealing to users’ eyes, the key to success may be your ears. Putting SEO Copywriting and keywords aside for a moment, let’s think about what constitutes good website copy. It should be current, original, informative and authoritative. And last, but not least, actionable. Unfortunately, ignoring one major area will undermine your SEO Copywriting efforts even if it has all those traits: readability. One of my biggest pet peeves in web writing is the use of overly technical or even academic language. Copywriters often get caught in the “good spelling and grammar” trap. While you absolutely want everything spelled and phrased correctly, it doesn’t mean you should follow every rule that you followed when writing a university essay on War and Peace. Overly dry or academic content may be worded perfectly, it may contain brilliant arguments, but it will fail you if it isn’t easily readable for searchers. If it’s too technical, too dense and improperly formatted, it could even turn off your readers. They’ll feel alienated by the language and seek a competitor who offers similar products, services or content but speaks to them in their own language. Simply put, unreadable content will spike your bounce rate and lower your conversion rate. Not good. This is where the “aural test” comes in handy. By reading your own copy out loud, either to yourself or to a friend, you get a stronger sense of how it affects your web users. If it sounds robotic and distant, that’s because it is. The best way to attract readers online is to speak in a way that really connects with them. Keep it punchy, conversational and introductory. If your content is interesting and welcoming, you should hear that tone when you try the aural test. The good part about this suggestion: it doesn’t even mean you have to dumb down your writing. You’ll be making it shorter and choppier but, in many cases, that also involves searching for especially descriptive and relevant words, which are cornerstones of great online writing. Are you searching for an SEO Copywriter? In Toronto, call 647-707-2672 for a FREE Quote. You’ll be glad you did!